I am an 11 time Microsoft MVP, a Partner, and the CTO at Canviz where I am currently leading several projects that include PowerApps, Azure, Office 365, SharePoint Framework, Artificial Intelligence, Machine Learning, full web stack, and numerous other technologies. I give back to my community by coaching and growing youth sports teams. For over a decade, I have created close relationships with the MS SharePoint & Azure teams which provides me access to early releases. My team and I work closely with the MS teams to develop training and samples that MS distributes to architects and developers worldwide on MSDN, TechNet, and GitHub and we use this knowledge and experience to implement software solutions for our clients. Abstract: In this session, I will take you on a tour of the latest and greatest PowerApps templates my team and I developed for Microsoft. During the tour I will demonstrate how numerous Office 365 services are integrated with PowerApps, share lessons learned, and show you how you can use the templates as-is, or extend them for your own organization. This webinar caters to both managers and developers by providing ideas and design patterns you can use to create your own PowerApps. Come learn what’s possible with PowerApps and Office 365 today! 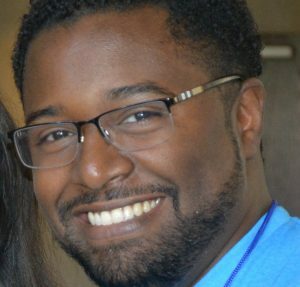 Abstract: In this session, I will teach you a variety of advanced techniques and patterns you can use to create PowerApps that perform great and are easy to deploy and maintain. This session will showcase many of the PowerApps templates my team and I developed for Microsoft to illustrate these concepts in practice. You will learn how to make PowerApps configurable, how to make an Active Directory people picker control, how to dynamically lay out controls, how to convert a PowerApp from one form factor to another, how to cache data for the optimal user experience, and many other things every PowerApp can benefit from. If you are looking to take your PowerApps knowledge from rookie or beginner to expert, this is the session for you. 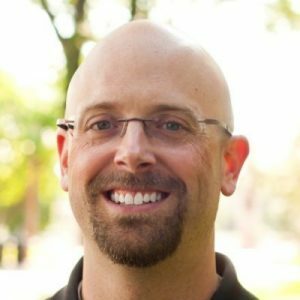 Clint has over 15 years of industry experience with extensive knowledge of network troubleshooting, security, and architecture, specializing in SharePoint administration and infrastructure for the past 10 years. He has assisted numerous public and private customers to plan, build, and optimize large-scale SharePoint deployments in locations around the world. Clint is a co-author of, SharePoint Server 2010 Administration 24-Hour Trainer, and has held the position of infrastructure consultant with AIS since 2012. Abstract: You are the IT admin at Widget Global Mega Corp and your boss just returned from a trade conference. He is all fired up over this “SharePoint” tool everyone has been talking about. He wants you to get up to speed on it pronto. There is just one problem, you haven’t even touched this Sharepoint Porthole thing?!?! Never Fear! In this session we will start from the ground floor. I will filter out all the noise and show you exactly what you need to know to make your deployment a success. From concepts, to installation best practices, to daily maintenance. By the end of this session you will know exactly what it takes to deploy and admin SharePoint! Abstract: This session will be a deep dive into the architecture required to support SharePoint 2016 in Azure IaaS. We will detail the specific elements you need to deploy and how to deploy them. We will also cover automation of the deployment via Desired State Configuration and Azure ARM templates. You’ll leave this session with all the tools needed to deploy a highly available and performant SharePoint 2016 farm in Azure. Abstract: In the last several years, the growth in popularity and compelling value of Office 365 have resulted in many organizations adopting SharePoint Online rather than building an on-premises implementation. Creating SharePoint Online sites shouldn’t be approached with the same mindset as developing for SharePoint on-premises, though. In this session, we’ll take a look at how SharePoint Online is implemented and how it differs from a typical on-premises implementation. We’ll examine why building for the cloud is different, identify common performance concerns, and demonstrate some good (and bad) development approaches. We’ll also look at some hands-on troubleshooting techniques that are available for diagnosing common SharePoint Online performance problems, as well as some solutions that can be applied. At the end of this session, participants will have a greater understanding of SharePoint Online, how to build for it, and how to conduct basic performance troubleshooting in the cloud. Mike is currently a Senior Instructor at MAX Technical Training in Cincinnati Ohio. 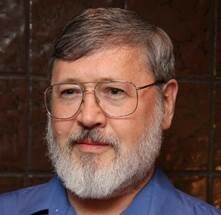 He has worn many IT hats over nearly forty years as a business owner, developer, tech writer, trainer, DBA and consultant. He is a SharePoint MVP for 2010 – 2018 and a Microsoft Certified Trainer (MCT). He specializes in SharePoint, PowerShell and .NET development. Mike is a member of the Cincinnati SharePoint User Group leadership team and when time permits, speaks at SharePoint user groups, SharePoint Saturday events and other SharePoint events. Mike has written over 160 training and technical manuals, and three SharePoint books. Abstract: SharePoint Calculated columns offer one of the easiest ways of enhancing SharePoint lists and to move simple lists into solutions. In this session we will start with the basics, and quickly move you to some of the more advanced tips and tricks, and even a few workarounds for missing features. You will be surprised with what you can do with a column! * What you can do with SharePoint Formulas. * SharePoint formulas are Excel-like… almost. * Create views that group on Year, Quarter, Month or week. * Dealing with empty columns and errors. * Writing complex nested IF and Boolean logic formulas the easy way. * Working around the nested IF limit! * A better Task status column from a formula. * Writing column and list item validation formulas. Abstract: Without the web, most of us in IT would not be able to do our jobs. Much of the content that “saves our bacon” every day is from volunteers who share their knowledge and experiences for our benefit. In this session we will take a look at how you can easily give back to the community by blogging, contributing to online forums and even speaking at user groups and events like this one. * How to create a blog in five minutes or less. * How to get started with the TechNet, Answers and Stack Exchange forums. * How to expand your skills, knowledge and résumé by helping others. * How to find opportunities to volunteer at user groups, tech events and schools. * It’s fun, and easier than you think! 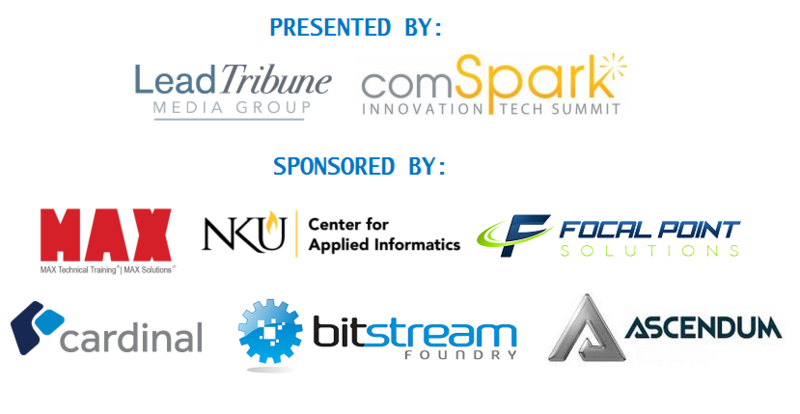 Frank is a Principal Consultant at Cardinal Solutions Group, based in their Cincinnati office. He is a native Chicagoan that moved to Cincinnati in 2014. 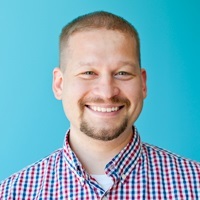 Frank began consulting for SharePoint 2010 in January 2011 and since then has also done numerous projects in SharePoint 2013 and SharePoint Online. His experience includes web part development, administration, custom branding, governance, user experience, and information architecture. He also has done work for clients in a wide range of industries, including real estate, health care, manufacturing, legal, education and fast food. Abstract: For a SharePoint on-premises implementation, a separate farm would be setup for development, testing and productions environments. This would inherently isolate each of these environments from one another. However, when developing on a single tenant for SharePoint Online each of these environments would be site collections rather than farms, which means they cannot have the same relative URL and will share SharePoint services like Search, User Profiles and Managed Metadata. This session will cover various development practices that will help establish the same isolation of environments on SharePoint Online as SharePoint on-premises. John is a skilled IT professional with over twenty years of experience implementing complex platforms and solutions, specializing in Office 365. He co-authored the “SharePoint 2010 Disaster Recovery Guide” in September, 2010 (http://tinyurl.com/SPDR2010book) and the “SharePoint 2007 Disaster Recovery Guide” in January, 2009 (http://www.tinyurl.com/SPDRbook). He is a Microsoft Certified Technology Specialist (MCTS) and a Microsoft Certified IT Professional (MCITP) for several Microsoft server products and platforms. Abstract: There’s been a lot going on around Collaboration in Office 365 in the past year, and these developments often lead to more questions than answers for users and organizations. This session will review technical aspects of new functionality such as the Modern Experience in SharePoint Online, Office 365 Groups, and Microsoft Teams, and look to address some of the most common questions about them being raised by Microsoft’s customers. The session will also look at how these changes can impact other long-standing challenges in Office 365 Collaboration, such as Information Architecture and Governance. Abstract: Upgrading from a legacy version of SharePoint? Deploying SharePoint for the first time? Want to expand the use of your current environment? Governance, site architecture, migration tools, user adoption…..there are a LOT of things to consider as part of deploying SharePoint. Whether you are on-premises or in the cloud, this session will provide you with 5 steps to kick-start your deployment. Abstract: Frustrated with a lack of SharePoint user adoption? You’re not alone – most organizations are still facing challenges with moving away from file shares and emails. Changing the way people work can take time and patience, but it can be done! This session will cover step by step strategies for transitioning legacy work cultures into a modern workplace. Learn how to improve engagement by finding pain points and providing valuable solutions that will give you long lasting results in SharePoint. Taking User Profiles to New Heights! Abstract: How many of you know what User Profiles can do? When I typically ask that question I get responses such as: It connects to Active Directory so that properties can be synced into SharePoint so we can use that info (but not sure how), or the most popular, we can add pictures to our profile and other information that others can see. Both of those answers are true but only scratch the surface of what User Profiles can do in SharePoint and most importantly for your organization. I could talk for hours about all the great things that User Profiles can do, but, in addition to talking about it I’m going to show you all the things that a User Profile can do and how the functionality can improve meeting preparation, company bonding and getting to know more about the organization you work for. I won’t stop there either as we will also venture down the path of application integration and how it can streamline processes and limit human error in the day to day processes. With the user of User Profiles you can be on your way to building that one stop shop for company information. 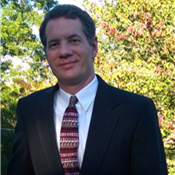 Brian T. Jackett is a Senior Premier Field Engineer at Microsoft with 13 years in the IT industry. 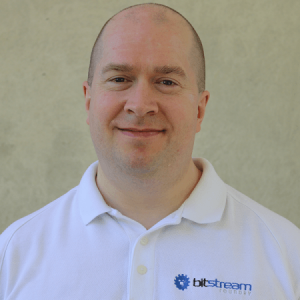 He has lived his life by a quote from Walt Disney: “when you are curious, you finds lots of interesting things to do.” Lately Brian’s curiosity has led him to working with Office 365 development / administration, various aspects of Azure, and PowerApps and Flow development. When he’s not playing board games you can find Brian giving back to the community through presenting, planning and volunteering at conferences, blogging, and contributing to the Twitterverse. Shane is a Microsoft enthusiast from Cincinnati, Ohio who has had the honor of being a SharePoint MVP for 13 years and counting. While his first love was SharePoint these days, he has expanded his love to PowerShell, Azure, and Office 365. Speaking of his passions, he covers all of those topics on his YouTube channel or in a more traditional setting through his consulting company Bold Zebras. You can always tweet him @ShanesCows just make sure it is nice. Abstract: What does that even mean to you anymore? With all of the options these days between on-prem, online, hybrid, and just sticking your head in the sand, we need to chat. So this session is going to cover where we came from, where we are, and where we are going. We will talk about SharePoint 2010, 2013, 2016, 2019, and Online. We will talk about ways to upgrade, what to upgrade, where 3rd party vendors make sense, what I am telling my customers, what people are doing in the real world, and how maybe this is all really just a migration. Bring your thoughts and questions. This session will be all over the place, and that will be a good thing. Abstract: Have you ever wondered how to get started putting your PowerShell skills to work with Office 365 and more specifically SharePoint Online? Probably not but you should. In this session, Shane will introduce you to how to install Office 365 cmdlets and how to get connected to your services. Then after the sad trombone of how little you can do with SharePoint Online, he will then point you to the Patterns and Practices cmdlets. They are everything and a bag of chips. The goal will be to make sure you feel empowered to manage O365 with PowerShell. Of course, he always does better if you ask lots of questions along the way, so audience participation required. Oh yeah, no PowerPoint just demos and conversation. Bill Crider was SharePoint when SharePoint wasn’t cool. Cutting his teeth on the 2001 version, and once performing a 2 version “upgrade” from digital dashboard to Portal Server 2003, complete with Kerberos authentication. Bill has been working with SharePoint for the past 15 years. Over that time, he has taken on developer, admin, power user and architect roles. From large scale farm installations and upgrades to drafting NFL players to Airheads candy, Bill has enjoyed a wide ranging SharePoint career. When not SharePointing he enjoys various sports, managing rock bands, playing the violin and all things Russian. Okay, ending on a serious note. His mission: to remove the clutter faced by information workers the world over and let them focus on the creative aspects of their work. Our demo will include the steps for creating a DSC script for your farm and using it to maintain a configuration and a discussion of how we manage it on a large scale farm. When this session is complete, you will understand the basics of the technology, how to deploy it for your farm, and best practices around using it in a real environment. Sharon Weaver is a SharePoint and Process Improvement consultant. Sharon’s background in Business Analysis and Project Management combined with her Developmental Psychology degree and Six Sigma Black Belt blend perfectly with her love of helping and training people to make her a well-rounded consultant. With over 20 years of experience as an IT professional, Sharon has the ability to understand her client’s pain points and develop a plan to not only build the needed solutions, but to drive adoption and education in a way not typically seen from technical consultants. Sharon also teaches SharePoint, Business Analysis, and other continuing education courses at JCCC and SLU as an adjunct instructor. Abstract: Do you use Outlook every day, but have all of your “stuff” stored in SharePoint? This session will show you a few tips & tricks to make your life easier by using them together. By connecting SharePoint content directly to Outlook, users will be able to manage and update content they use and have access to on a regular basis all in one place. 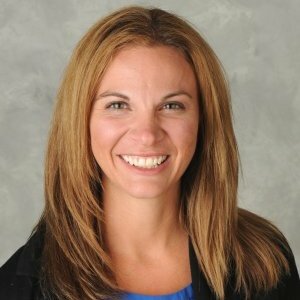 CA Callahan has been in the IT field (much of which as a Microsoft Certified Trainer) for almost 20 years. 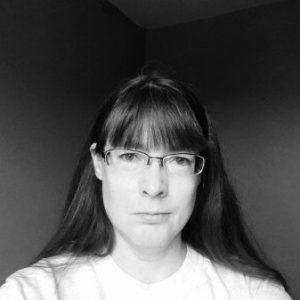 Having been a consultant, trainer, and technical writer since the 1990’s, she has spoken at numerous events including TechEd, Ignite, and Windows Connections. Callahan is a former MVP, and has authored or coauthored a number of books about Windows Server, Windows Client, and Microsoft SharePoint. Abstract: Microsoft is constantly changing what they offer online. Adding things that are not well explained, changing prices and features on what appears to be a whim. So which subscription should you buy? Come to this session and get a quick overview of what the current subscriptions are and what they actually contain, what added services are (which are subscriptions, but are more granular than what you might easily see publicly), and more. Get some tips and tricks about finding up-to-date information on subscription details, thoughts on granular licensing versus monolithic, and more. If you are new to O365, and struggling to understand what you have and what you need, this might be the session for you. Ricardo Wilkins is a Customer Success Manager at Microsoft, helping customers maximize adoption and realize the value of their investment in Modern Workplace solutions (Office 365, Enterprise Mobility Suite, and Windows 10). Previously he spent many years as a professional consultant delivering customized solutions and expertise across Microsoft services, specifically SharePoint and related technologies. Ricardo has been an active participant over the years in the Central Ohio technical community, giving many talks and presentations at local events, blogging, and serving on the boards for regional groups like the Columbus SharePoint User Group and the Microsoft Dogfood Conference. Abstract: Creating a SharePoint collaboration site is easy. After you create it, you add your team members, and very quickly you’re enjoying new levels of productivity thanks to all the great features SharePoint provides. But what many organizations are often not prepared for is the level of planning and administration required to maintain well-managed and compliance-driven sites within their SharePoint environment. From site administrator woes, to Content Owner responsibilities, we’ll explore in this session the guidance, tips and gotchas that I’ve encountered as a professional consultant who’s helped over 35 different organizations with their SharePoint implementations. Paul is the Owner/Principal Architect at Don’t Pa..Panic Consulting. 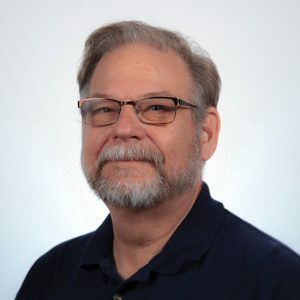 He has been working in the information technology industry for over 30 years, and has played key roles in several enterprise SharePoint architectural design review, Intranet deployment, application development, and migration projects. He has been awarded the Microsoft Most Valuable Professional (MVP) award for the last 10 consecutive years and earned his Microsoft Certified SharePoint Masters (MCSM) certification in 2013. His core skills include architecting and customizing SharePoint environments both on-premises and in the cloud. He has significant experience leading SharePoint migration teams, troubleshooting infrastructure issues, and evaluating SharePoint environments for adherence to “Best Practices” and industry standards. He’s authored several books, is a frequent contributor to the Microsoft forums, and speaks at several conference events each year. Abstract: For many SharePoint environments one of the most important aspects of collaboration is the ability to delegate content security to Content Owners/Creators. This can drastically improve the speed of sharing reliable information. But for this kind of decentralized security structure to be secure the decentralized owners must be well trained and have a good understanding of how Security works. In this talk we will review how Permission Levels, Securable Objects, and Users/Groups interact to provide the basis for SharePoint’s security model and at the relationship between individual Permissions and Permission Levels. We’ll discuss how anonymous access is implemented differently than a regular IIS web site and some of the common mistakes that people make when administering security in SharePoint. Finally, we’ll review how you can use all this knowledge to troubleshoot problems that arise when you try to secure content. By the time the session is done you’ll have all you need to administer security in your site/site collection. You’ll also be able to pass on that knowledge to others. The result should be a collaboration system that is both nimble and secure.